"The Lord is transcendental to our mundane senses. He cannot be seen with our present eyes, nor can He be heard with our present ears. To the degree that we have entered into the service of the Lord or to the proportion to which our lives are freed from sins, we can perceive the Lord. But even though we are not free from sins, the Lord is kind enough to allow us the facility of seeing Him in His arca-murtis in the temple. The Lord is all-powerful, and therefore He is able to accept our service by presentation of His arca form. No one, therefore, should foolishly think the arca in the temple to be an idol. 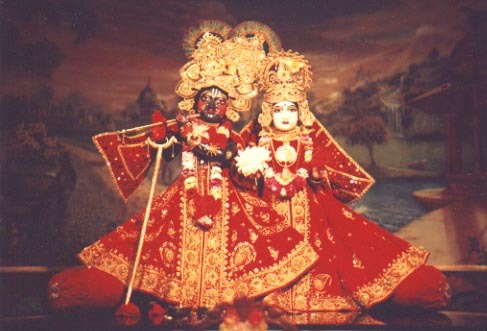 Such an arca-murti is not an idol but the Lord Himself, and to the proportion to which one is freed from sins, he is able to know the significance of the arca-murti. The guidance of a pure devotee is therefore always required."